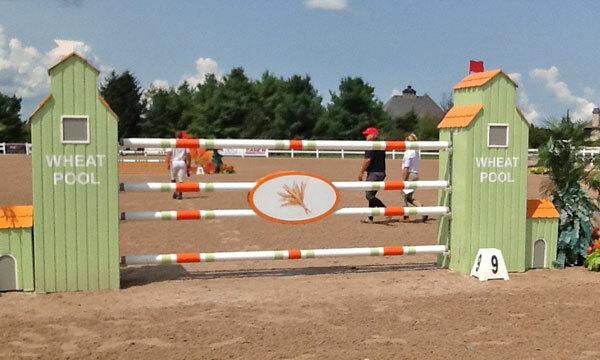 This walk will arrive after a short break as I went for four days of fishing at the end of the $50,000 FEI CSI2* Grand Prix of Caledon presented by Pommies Cider Co.
Our course designer for the week has been Guilherme Jorge (BRA) and is no stranger to the Caledon Horse Park. This class will be a little light in entries as there are 17 entered, but at this time of the year many shows will be showing less horses because of the serious number of shows that are available. Good management of the horses and the need to rest from time to time will result in many riders taking a couple of weeks off to rest their mounts. This is one of those times and this week and next (Angelstone 1) will see fewer numbers. The month of September will host at least six major events that will involve most of the major riders and top horses in the world. 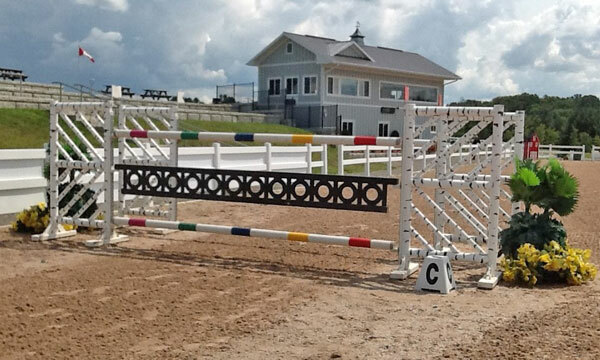 The class today will be held under FEI 2* rules and we will see 17 entries and all will compete. The course will have 13 numbered obstacles and 16 efforts. The TA will be set at 83 secs. and will not be changed. The speed will be 375m/m. 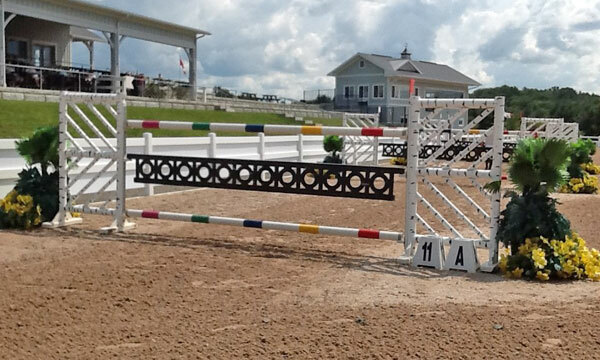 The course will show one triple combination, one double combination, and one closed Liverpool and a triple bar. The course will NOT show a wall, a plank vertical, no skinny vertical (8ft pole) and no open water. I think that the course today needs to be very straight forward and the technical factor should be on the light side. The heights and widths should be according to the rules (1.45m) and the TA could be a factor. The weather is a little hot but should not be a factor. 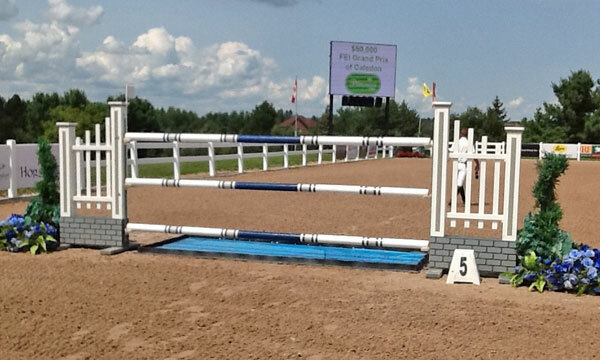 It is now time for the walk of the $50,000 FEI 2* Grand Prix of Caledon presented by Pommies Cider Co.
#1 oxer 1.35/1.40/1.30m or 4.4/4.6/4ft this is an easy ramp beginning and was not faulted on the day. #2 vertical 1.45m or 4.6ft comes from #1 on the long gallop and the left rein and never met mother earth. 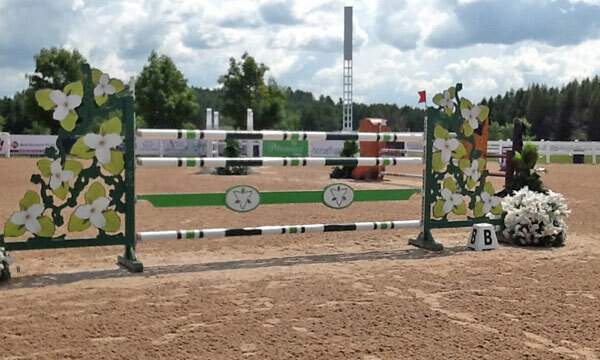 #3 oxer 1.45/1.50m or 4.6/5ft comes on the continuing left rein and was another fence to receive no punishment today. 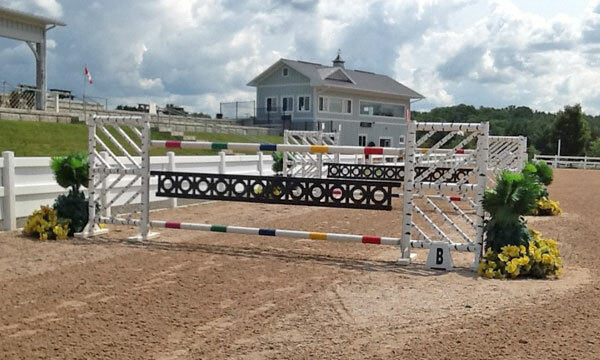 #4 triple bar 1.45/1.80m or 4.6/5.9ft comes from #3 on the right rein at the in-gate and away from the in-gate and here we had two refusals and one elimination. #5 vertical closed Liverpool 1.45m or 4.6ft comes from #4 in a straight line with a distance of 22m or 72ft. We had two splashdowns in the Liverpool. 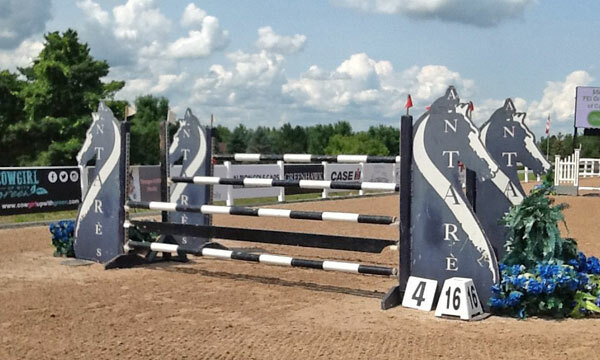 #6 oxer 1.45/1.55m or 4.6/5.1ft comes from #5 on the right bend with no given distance from #5 and this oxer remained intact for the first round. 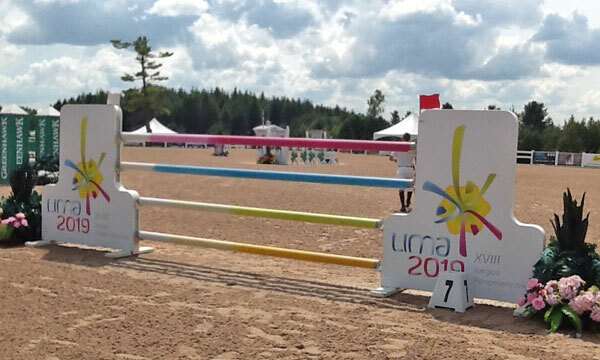 #7 vertical 1.47m or 4.7ft comes from #6 on the continuing right rein and also remained untouched today. 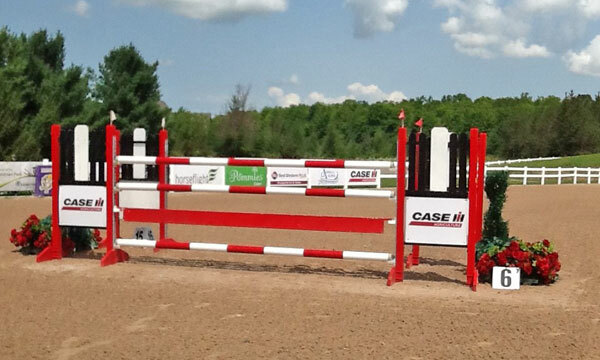 #8a oxer 1.43/1.50m or 4.5/5ft comes from #7 with no given distance and never fell into the sand box. #8b vertical 1.45m or 4.6ft comes from #8a with a distance of 8m or 26.3ft and was not faulted on the day. 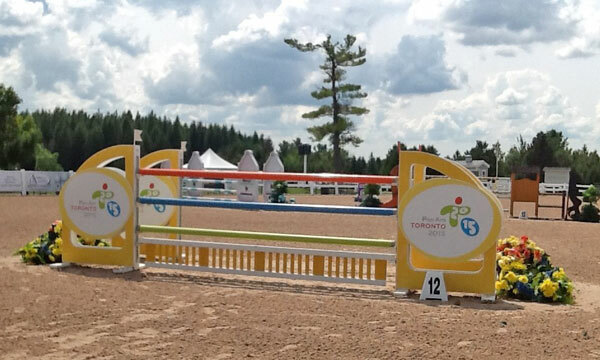 #9 vertical 1.45m or 4.6ft comes from #8b on the left rein and was not a problem for anyone. #10 oxer 1.45/1.60m or 4.6/5.3ft comes from #9 in a straight line with a distance of 27m or 88.6ft and also posed no problem today. #11a vertical 1.45m or 4.6ft comes on the full right turn and was pushed from the top cups one time. 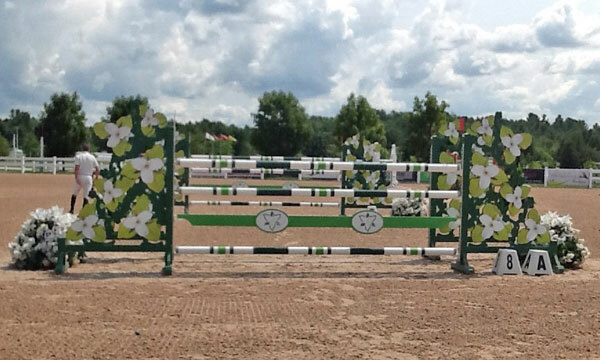 #11b vertical 1.45m comes from #11a with a distance of 11.30m or 37ft and tumbled to the turf one time. 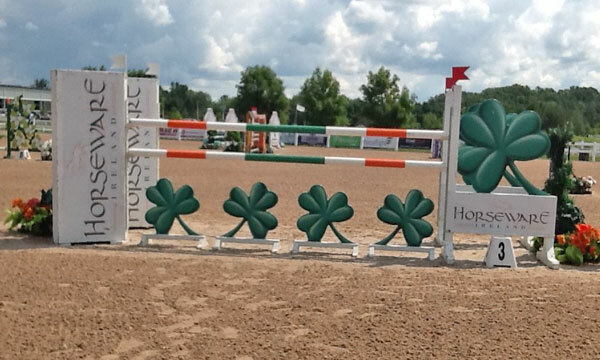 #11c oxer 1.45/1.55m or 4.6/5.1ft comes from 11b with a distance of 8.10m or 26.6ft and was the bogey fence on the day as it fell into the sand four times. #12 oxer 1.45/1.60m or 4.6/5.3ft comes from #11c on the right rein with no given distance and was dashed to the dirt two times. 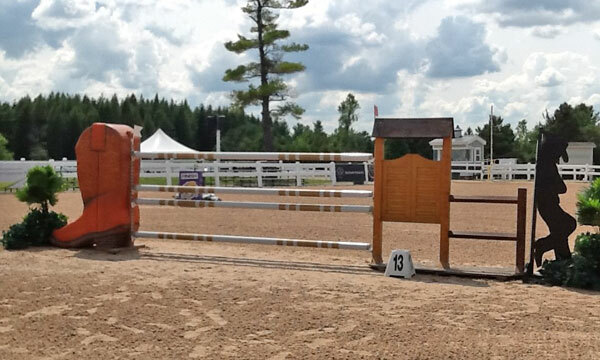 #13 vertical 1.48m or 4.10ft comes in a straight line from #12 with a distance of 18.5m or 60.6ft and as the last fence in the first round it also ended the day for one rider. This ends the first round. The final count of the first round is as follows. 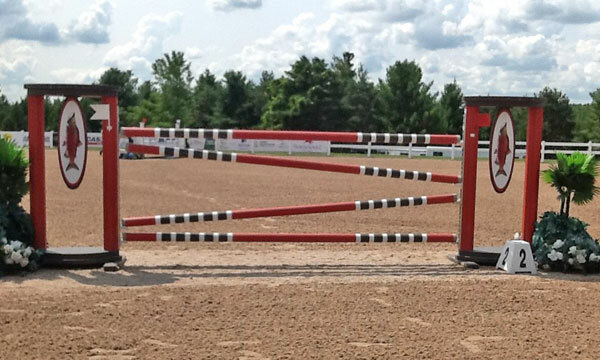 There were eight clear rounds, one round with one time fault, two rounds of four faults, two rounds of five faults, two with eight faults and one round of 12 faults. There were no VWs, and no falls. We had one elimination due to refusals. 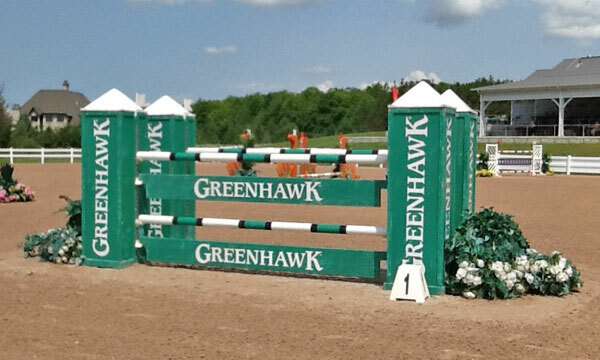 I have said in the past that this type of grand prix is a difficult build for the course designer due to a small field and the 2* limit. 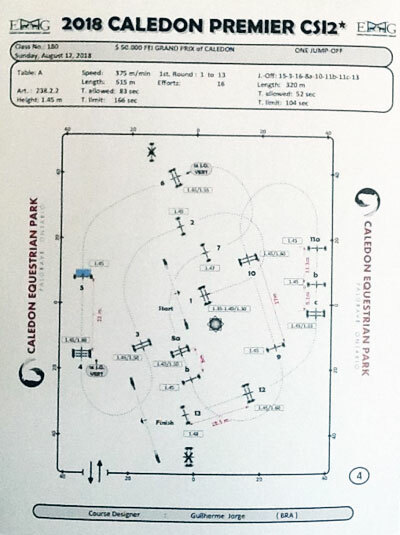 As one reads the specifications of the course and the distances used you can see the use of technical distances is not at a high level and the 2* use of heights and widths is not that difficult. Gui did a great job to remain within the rules and reading the quality of the competitors to give us a good jump off. 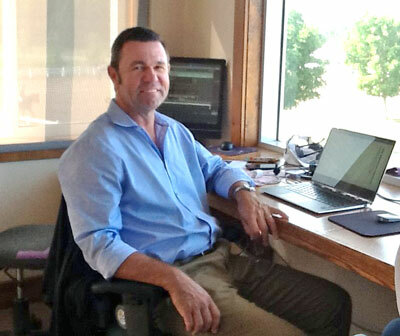 Our course designer will be back in the future and we look forward to his return. We wish Gui good luck next week in Chicago at the 5* at Balmoral. 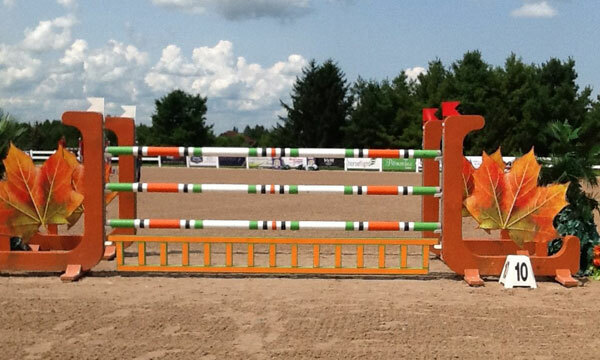 Tomorrow night we have the first in the three show series of FEI events at Angelstone. I am sorry for the delay in this walk but the fish were waiting and I was ready for a break from cutting grass. Until tomorrow night I am Dave Ballard.